As we all get more and more devices charging them becomes a problem of where do we put another wall plug, to answer this there are multi-port USB chargers, but just a normal charger wasn’t enough when I went looking. That’s when I found this new smart charger from Anker that has up to 40W of power to push your gadget. The good thing though is that it has a chip on each port that detects the proper amount of wattage to send and not to send so that your devices charges at the maximum speed but won’t burn it out. After unboxing this little guy, with the smooth rubber to keep it from sliding off the table and minimal packaging I gave it a test. With my Samsung Galaxy Nexus I was able to charge 20% of my battery in about 20 minutes, which sounds about right for it to send it the proper amount of wattage to charge correctly. Later I plugged in my phone, a Nexus 7, and a pair of Bluetooth headphones and all charged just fine. With the 5 ports it should give you the flexibility to keep everything charged in one place and as fast as it was intended. Check out the unboxing video and photos. You can get this charger on Amazon for around $26 as I did; Anker seems to sell primarily on though Amazon. 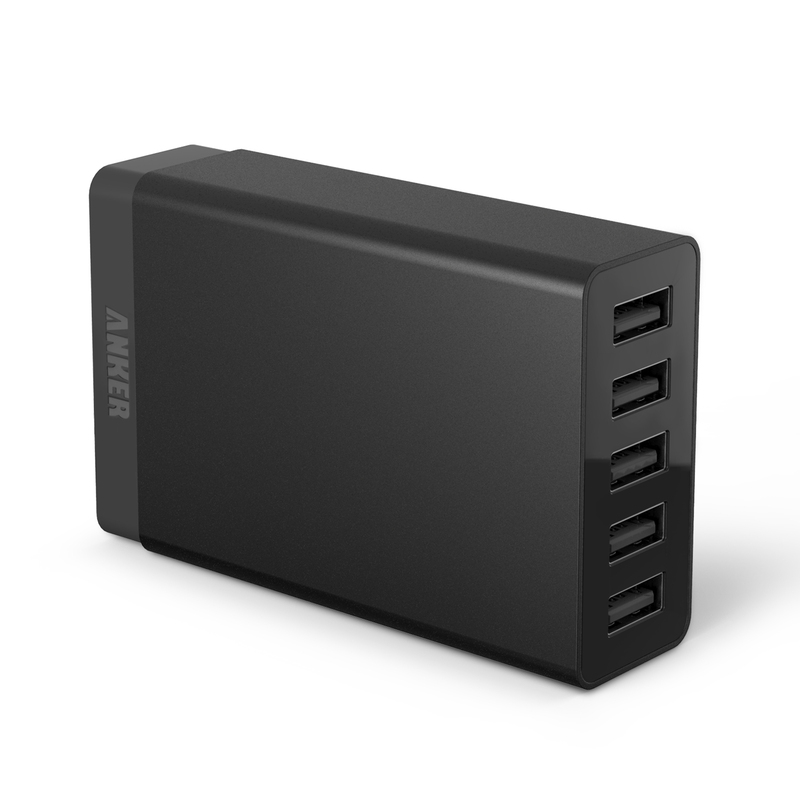 Posted on January 13, 2014, in Amazon.com, Archive, Charger, Unboxing, Videos and tagged Amazon, Android devices, Anker, Battery charger, Galaxy Nexus, IPad, Mobile phone, Nexus 7, Phone, Smartphones, Universal Serial Bus, USB, Video. Bookmark the permalink. Leave a Comment.